RBB is moving, so we know you may have some questions. In order to help answer those, below is some information which we believe will set your mind at ease. Q: When is RBB moving? A: The move begins June 1, 2018, and we will be in place and operating out of the new facility by June 30, 2018. Q: Where is RBB moving to? 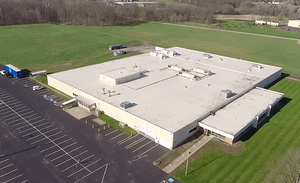 A: Our new address is 1909 Old Mansfield Road, Wooster, Ohio 44691. Q: Why is RBB moving? A: We are out of room on both the shop floor and the offices, and we need more room to grow! Q: Will RBB be in full production during this move? Q: Will my existing and/or future orders be impacted? A: All orders/shipments that have been confirmed for June will not be affected. Q: Can I move my order into June? A: These situations will be handled on a case-by-case basis. All inquiries related to this should be directed to Patti Armstrong at 1-888-732-6573. Q: Will the move impact my order scheduled to ship in July? A: No. The move will not affect confirmed July shipments or PCBA builds. Q: Will my existing account with RBB be affected in any way by this move? A: Absolutely not! This move will be virtually painless for our clients. In fact, it’s likely to provide them with additional growth opportunities. Q: Will I need to make my billing department aware of any changes to the way they process invoices and/or any other information related to our engagement with RBB? A: If you’re currently paying by physical check, please send your payments to our new address (1909 Old Mansfield Road, Wooster, Ohio 44691). Electronic payments will be business as usual. Q: Who should I contact if I have any move-related questions, and how can I reach them? A: All questions should be directed to our main line at 1-888-732-6573. If your question is order-related, please ask for Patti Armstrong when you call. If your question is quote-related, please ask for Sean Sweeney. If you have a question related to the move itself, please ask for Jim Tennant.